Summer has not yet made its appearance around here, but we’ve had a few nice spring days. We’re currently keeping the boat at Barker’s Island Marina in Superior, WI. 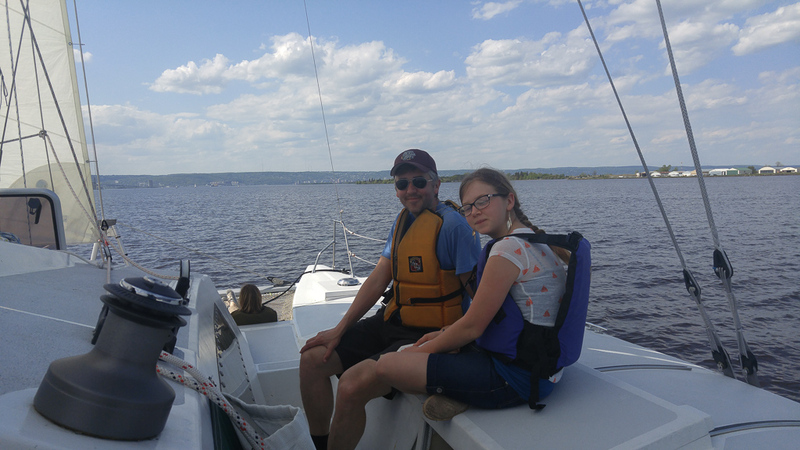 We’re going to stick around Duluth for a bit since Ethan is taking a sailing class from the Duluth Superior Sailing Association in June, but after that’s over, we’ll set off to explore this end of Lake Superior as well as enjoy the Duluth area summer festivities. A childhood friend and his family joined us for our first sail. 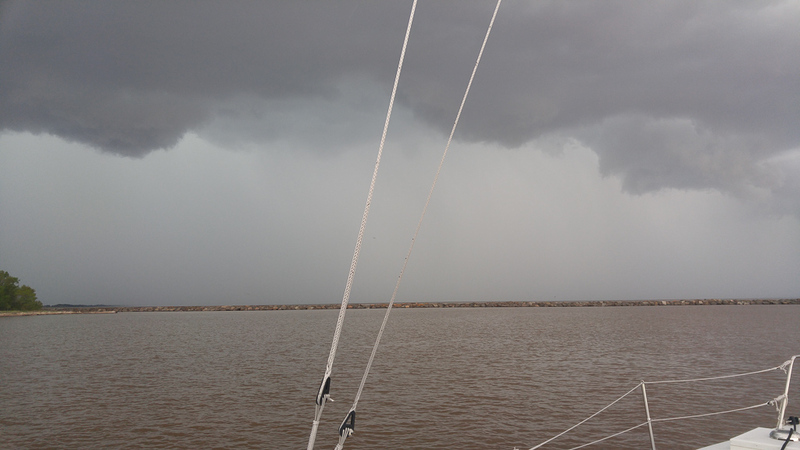 I tried to get out for a quick solo sail, but just as I left the marina the weather alerts went bonkers. 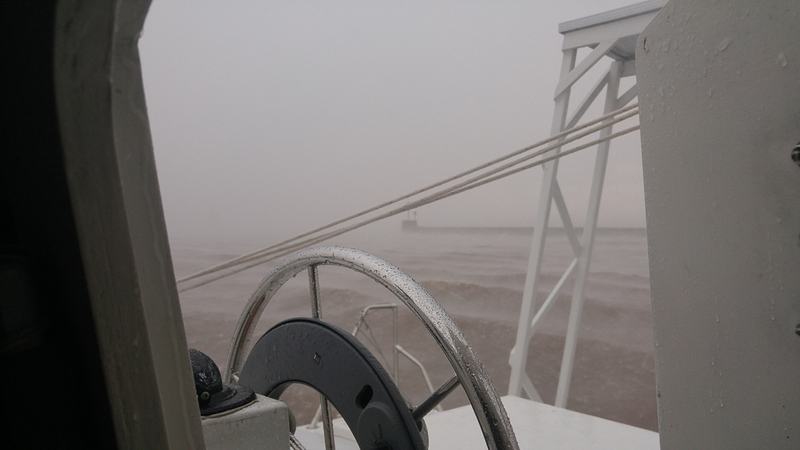 I anchored in a safe spot and let the brief storm packing 50kt winds pass by. I finally was able to test out spinnaker sailing and it was amazing. The wind wasn’t strong and I was hitting 8kts. It dropped below 10 and I was still doing 5-6. 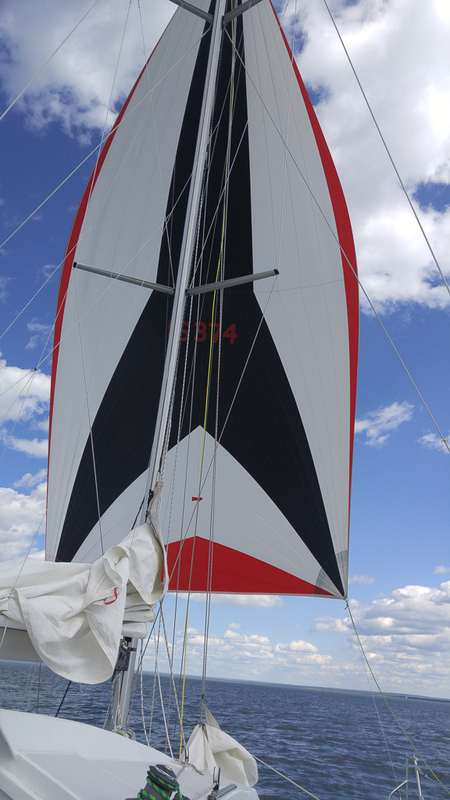 I still have a lot to learn about trimming the sail, and I think it’s a bit small for my boat, but I was in bliss.